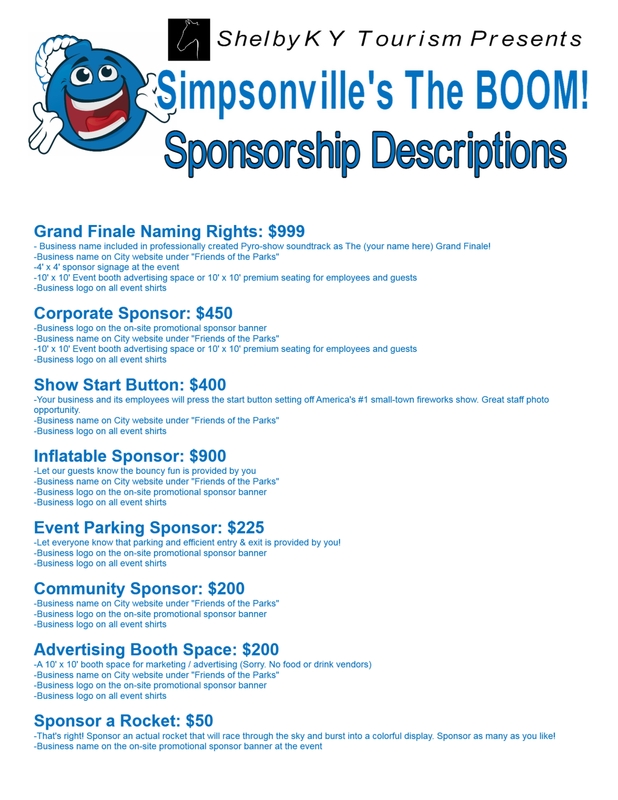 It's time to start thinking about signing up for summer sponsorships with Simpsonville's The BOOM! 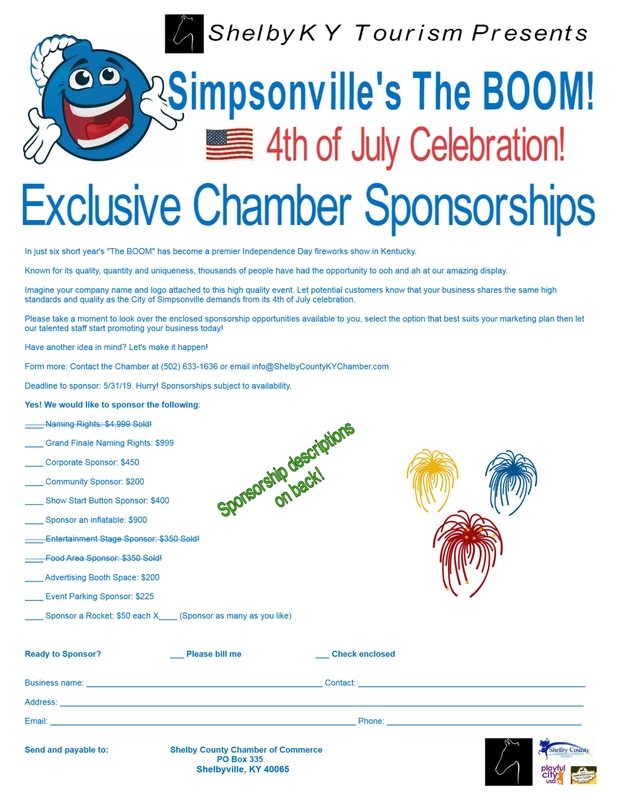 4th of July Celebration and Simpsonville Youth Leagues. 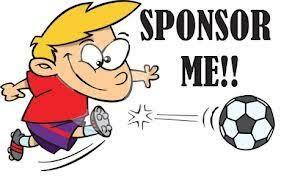 For a list of these sponsorships and for a form to sign up, please click the link below. 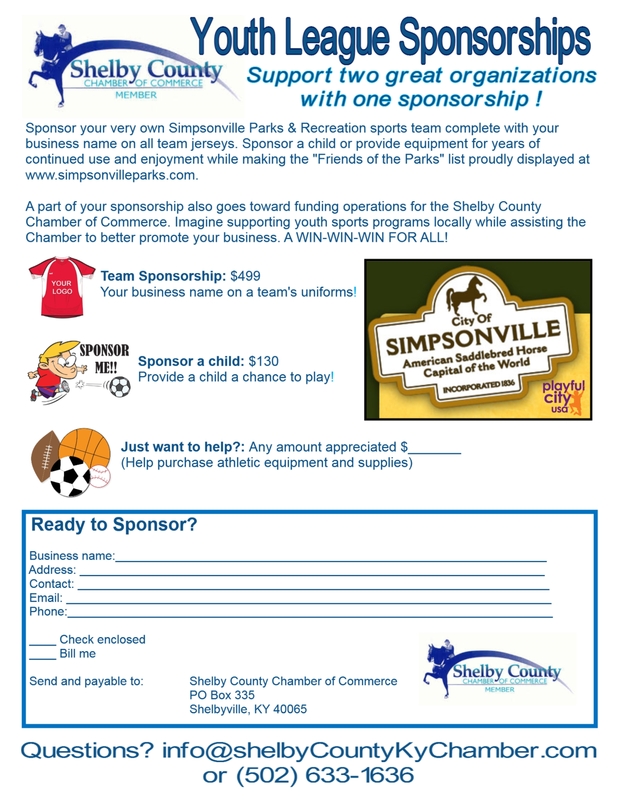 We invite you to join us as we continue to support commerce and promote growth to enhance the quality of life in Shelby County. Check out these great member-only offers from our partners! • Business Referrals - Our Chamber staff answers over 1,000 inquiries each year for referrals of products and services. And only member companies are referred. 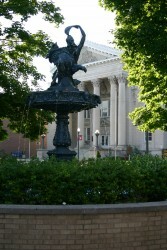 • Information Services - Our staff maintains statistical data to meet most business needs. 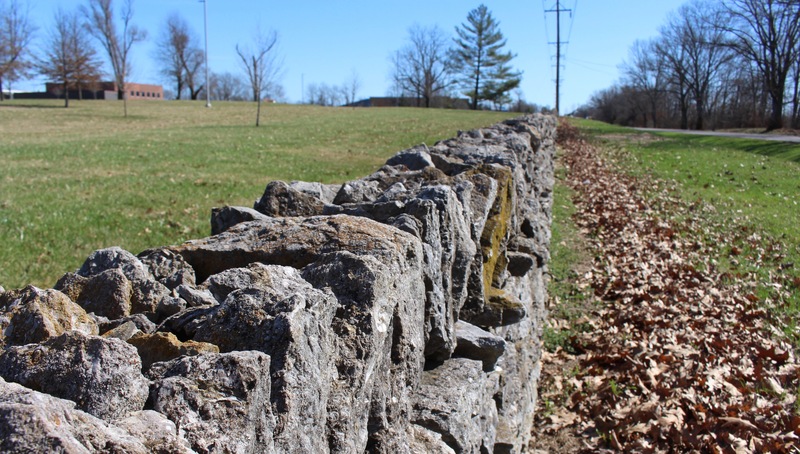 When you join the Chamber, that service is yours at no additional cost.